Click here to view specific details on our projects. 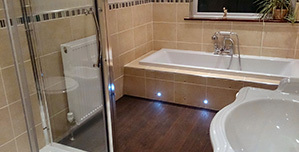 Established in the UK in 1982, we are specialist leadwork contractors, as well as plumbing and heating experts. Why Choose Q. Bytheway Contractors? We are proud to be Associate Members of the Chartered Institute of Plumbing & Heating Engineers (CIPHE) and are fully Gas Safe Registered. We are an award winning Member Company of the Lead Contractors Association (LCA); having attained the highest possible grade (excellent) within the association and have Government Trust Mark approval for our bespoke leadwork activities through the Lead Contractors Association. Our company provides a service of exceptional quality to a wide variety of clients and we are proud to have completed many prestigious projects for Conservation Trusts, Authorities & Government Departments, Parish Councils, Commercial Clients and Private Individuals as both prime and sub-contractor. Our widely acknowledged expertise has allowed us the privilege of working in some of our most important heritage buildings including numerous churches, stately homes, historic municipal buildings and scheduled monuments; not to mention countless beautiful private residences. 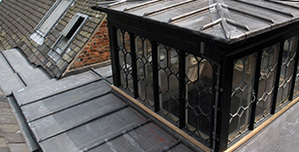 Plumbing and heating installation has been our mainstay for many years and still employs our skills frequently; however, our passion for leadwork restoration and the conservation of historic buildings has always inspired us. It takes many years, great patience and perseverance to learn the skills of a lead craftsman but once mastered, a highly skilled leadworker becomes a true artisan. The UK has a rich and wonderful history, much of which can be attributed to its magnificent buildings; many of these buildings are protected and restored with the help of trusts and conservation bodies such as English Heritage and the National Trust. We are proud to have worked with these UK organisations on many occasions to conserve some of our most important buildings for generations to enjoy. Intricate lead detailing can be difficult to restore to its full glory, but it’s something that our skilled contractors have managed to perfect over the years! Our widely acknowledged expertise has allowed us the privilege of working on restoring some of our most important heritage buildings in the UK, including numerous churches, stately homes, historic municipal buildings and scheduled monuments; not to mention countless beautiful private residences across England, Scotland and Wales. 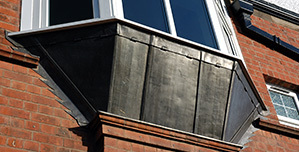 In addition to our conservation and restoration works, lead roofing, lead weatherings, lead flashings and lead cladding are the most commonly employed aspects of our specialist lead contracting capabilities. Our UK workshop also manufactures bespoke ornamental leadwork including rainwater pipes and fittings, hopper heads, cast lead ornaments and decorative leadwork such as finials and planters that are perfect for private homes. In addition to our specialist lead services, our plumbing and heating expertise enables us to design and install high quality kitchens, bathrooms, water systems and central heating for both Natural Gas and Liquid Petroleum Gas (LPG). As a small contracting business, we take pride in making sure that all of our work is up to the highest standards possible, and that our bespoke leadwork and custom kitchen, bathroom and heating installation is of the best quality in the UK. Don’t hesitate, contact us now on 01384 294 449 to talk to our experienced contractors about your leadwork quote!